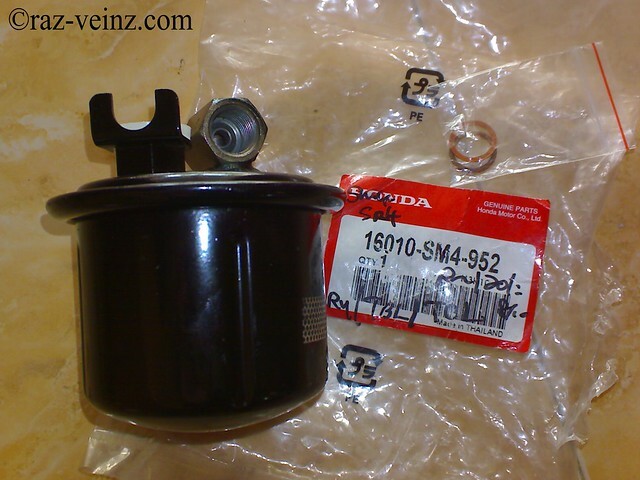 Someone maybe wonder, “fuel filter? 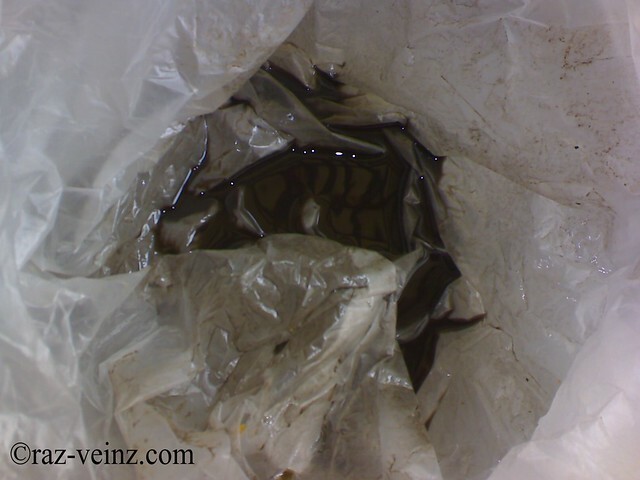 I never thought that thing ever exist in my car!”, yes, that thing is not famous as oil filter or air filter, but equivalent important too, year after year, there can be a fair amount of rust and debris in the fuel tank, some come from the time when you adding fuel, and fuel filter will plugged and the fuel pressure will drop as well, and that’s not sound good right? The filter should be replaced every 2 years or 40 000 km, whichever come first, and it’s a just cheap and simple preventative maintenance. Disconnected the negative cable from the battery negative terminal. 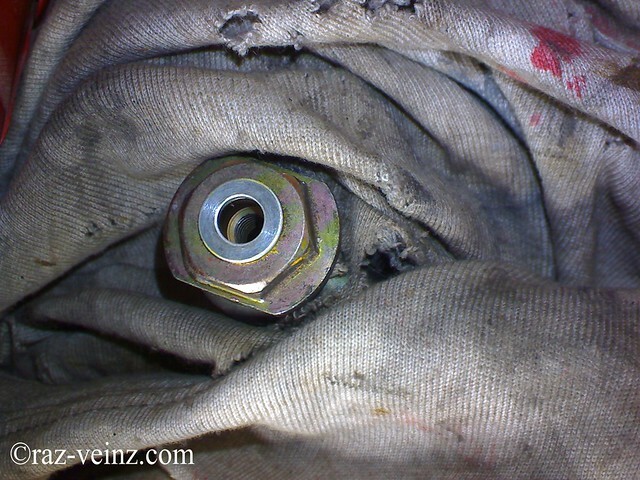 Put rag or shop towel under and around the fuel filter, hold the banjo bolt with 17mm wrench and remove the service bolt with 12mm wrench, this procedure is to relive fuel pressure. 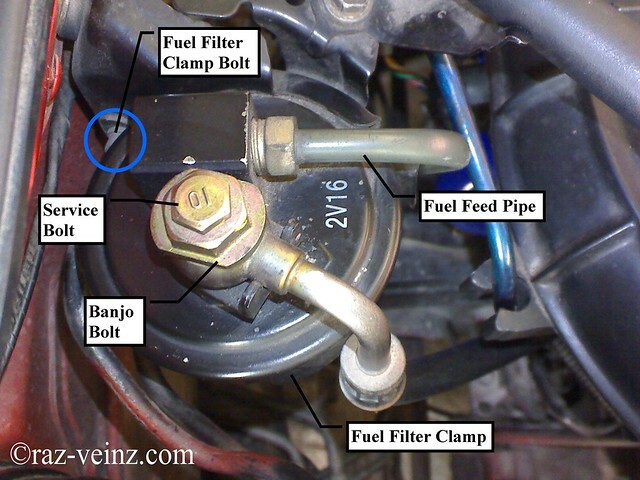 Remove the banjo bolt and fuel feed pipe from the filter. 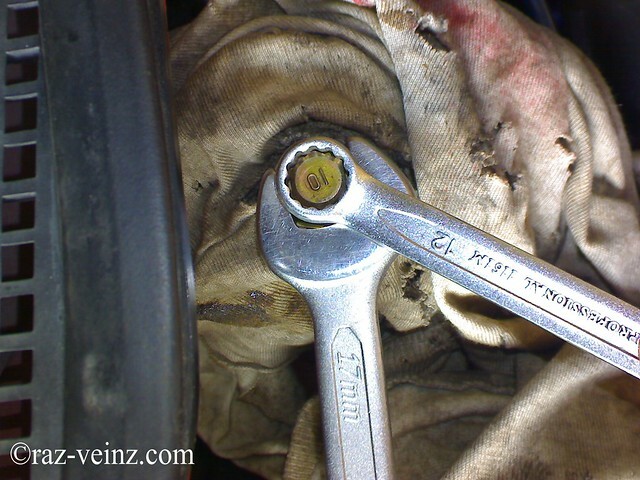 Remove the fuel filter clamp by removing the clamping bolt (blue circle – refer above picture). 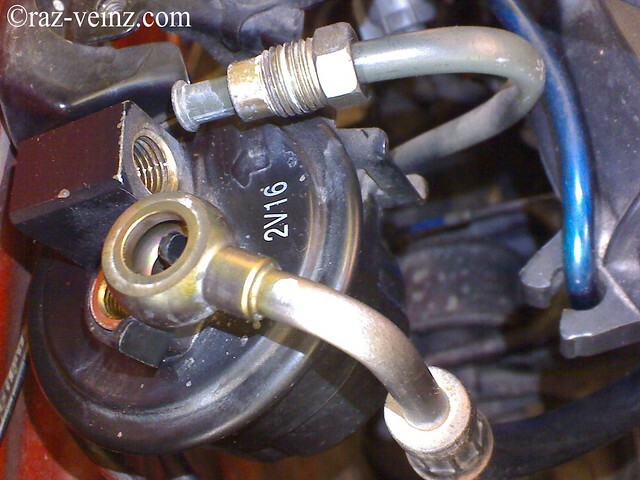 New fuel filter, come with the washer, install everything back in the reverse order of removal, and done.